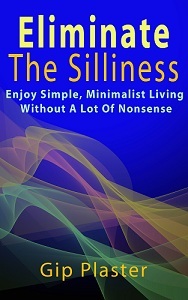 In early 2012, I looked back at some of my best decisions since moving toward a simple, minimalist lifestyle. Each of those posts contains a rehash of why I took the action as well as new information about how it’s worked out for me. As a result, the Best Decisions series represents some of the best, most valuable work I’ve done here on So Much More Life. I’ve placed this tab on the navigation menu to make these useful post easier to find. I hope you enjoy reading — or re-reading — them. Will There Be A Worst Decisions Series?